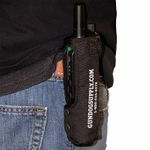 GDS Garmin PRO Transmitter Holster. $14.95. 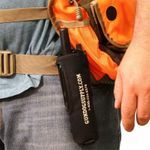 All of our Field and Pro Tri-Tronics tube style transmitters come with a free holster. Pretty simple to put it in. Slides in from the top. Once you get it over there, you take your strap, goes over and snaps. Gives you access to all the buttons and the dial. Several different ways you can use this holster. It comes with a handgrip so you can hold it in your hand. It comes with a belt loop if you want to wear it on your belt. It comes with a strap. You can wear it over your shoulder. You can strap it tight to your chest if you want to. Just kinda depends on what you like. I prefer for my holsters to hang upside down so that way I can get to them and use them and let them fall. But that's really a personal preference. It depends on what you like. But real simple holster to use. It's going to help you keep up with it. I do not recommend using these without holsters. They are going to get lost at some point. Some guys like to just stick them in the back of their pockets. And eventually you are going to lose it, and then you get to buy a replacement transmitter, and they're not cheap. So holsters are a great way to go to protect your investment. Product fits my transmitter like a glove, and the service was excellent. This works out great walking through the woods on the shoulder. Very convenient and quickly accessible. It works. 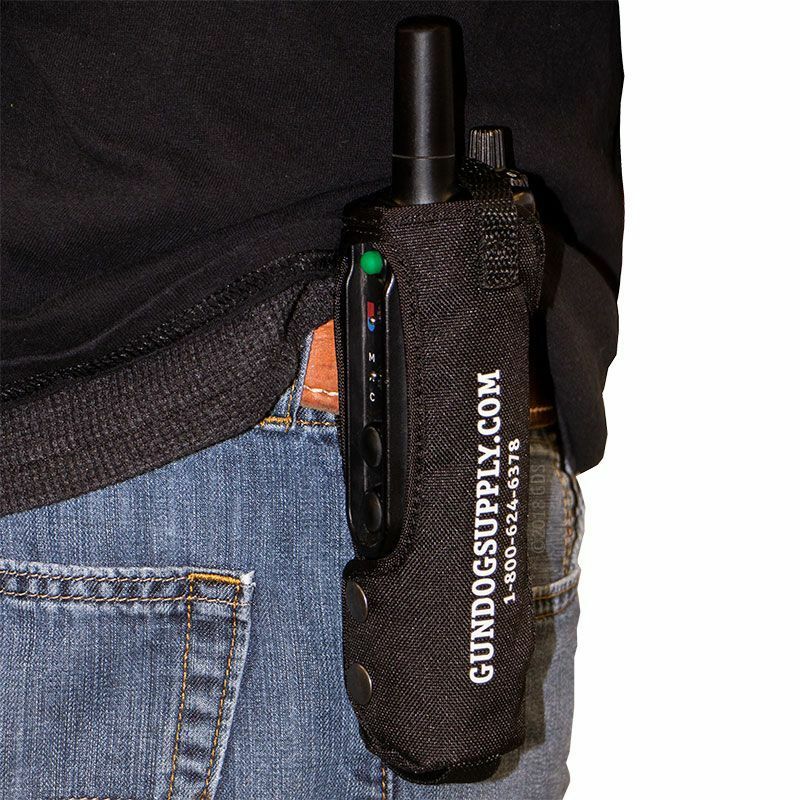 My wife prefers to carry the transmitter over her shoulder while walking the dogs (I wear it on my belt when hunting), so this addresses all concerns. "Product in great shape and exactly as described." Quick and fast. Product in great shape and exactly as described. Very nice item. Fits my transmitter and appears sturdy enough to last my lifetime. I like the snug fit of this holster. I actually removed the belt and shoulder straps from the back, and sewed it on a different shoulder harness I use for my handheld radio. Now I have both units side by side. Works great for me! Good fit, excellent value. Thanks Steve for the great products, great value, and fast shipping. Fits transmitter very well. I placed a orange whistle lanyard on loop at bottom. If I drop it I can find easily. "First Class people to deal with." First Class people to deal with. THANKS!! "Gets the job done well." Gets the job done well. Finally an end to my wife coming back from a walk saying 'I lost the remote. Can you help me look for it?'. Fits like a glove, and the strap adjustments provide excellent options for carting it. Use this with a Tri-Tronics Flyway G3. Fits the transmitter perfectly. I lost my old transmitter while training because I didn't have this. It goes over my shoulder while in use. Easy access to it while on my shoulder. Only downfall (and it is minor) is you have to remove it when charging the transmitter. Nice product. First thing I ordered from you. I will be back to get more. Thanks!! "Good snug fit on the transmitter." Chocolate Pointing Lab. Hunts. Family pet. Good snug fit on the transmitter. Still trying different ways to utilize the strap. Great product, professionally and quickly ordered and delivered. "Fits the transmitter nicely and hangs around the neck to keep the buttons handy for use"
German Shorthair. Hunts. Family pet. Competes. 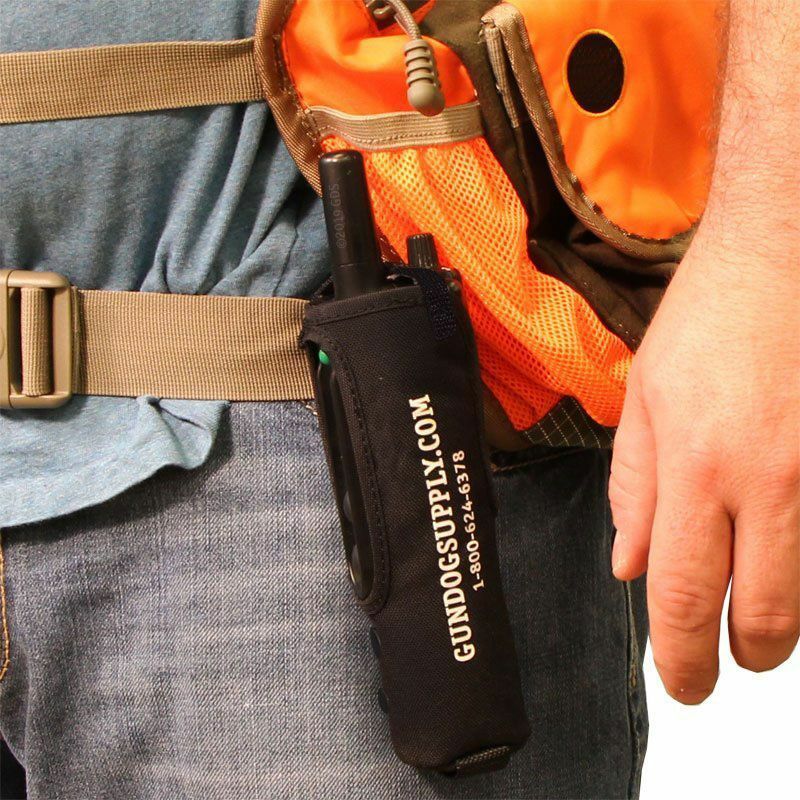 Fits the transmitter nicely and hangs around the neck to keep the buttons handy for use if needed, A Blaze orange color would be nice to help locate if dropped in the field. Product is well made and very functional. "I would recommend it to any of my hunting buddies." It works really good. I would recommend it to any of my hunting buddies. "Good holster. Works great on horseback and on foot." Good holster. Works great on horseback and on foot. Securely holds my Pro 100. "Awesome holster, best price I found!!!!" 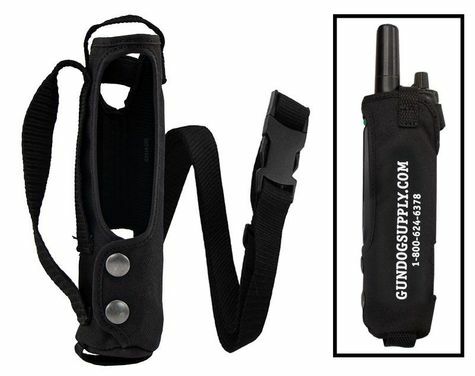 Awesome holster, best price I found!!!! "Good fit, and I like the button lock function"
The cover has a good fit and I like the button lock function. Pros: Snug fit while allowing access to controls. Great value. Shipped quick. Cons: Logo is a little too big. I wish that they would last longer than 1 year, but for the price they take a pretty good beating. German Shorthair. Hunts. Family pet. The strap that goes across the top does cover a small part of the stim setting dial. Perhaps if it just wrapped around the antennae the style could be improved. Otherwise I really like it a lot. "I like that you're able to put it on your belt and carry it that way too." I like that you're able to put it on your belt and carry it that way too. Good holster but it did not quite fit my old G3 transmitter. The strap holding the transmitter in covers the dial so I would have to undo the strap to change the level. Company was great and immediately issued a refund. Ben was great to deal with. "I use mine about 2 hours every day and it held up for a long time before I needed a new one. I would recommend." I hang it around my neck as opposed to hooked on my belt. It does the job. Pros- keeps the transmitter handy and the design is good so that you can get to all the buttons easily. Cons- strap is uncomfortable on the neck, could use a sliding pad or something. And the neck strap where it slides through the main holster part does wear out. For the price, it is worth it though. I use mine about 2 hours every day and it held up for a long time before I needed a new one. I would recommend. It works for holding the unit most of the time. Snap came undone a few times in the field during training. Tried using a screwdriver to press the lips over so it would snap in tighter and it seemed to help. Does not stay positioned correctly on my shoulder. Added rubber to the strap to help hold in place while walking. The older one I'm replacing had a velcro tie that is now replaced with an elastic band. The velcro kept the control area in the cutout. The new version is always slipping and covering my Tone button, and I use the tone button the most. Fits all Garmin PRO series and all Tri-Tronics G3 Field and Pro Systems. Black Cordura nylon 4-way holster. Includes hand loop, belt loop and adjustable strap. Hold it securely in your hand, wear it on your belt, long over your shoulder, or snug to your chest.